Tales of Ineptitude: Hello Again! Also, there is the Christmas/New Year funk that happened (is still happening?). Holidays have been pretty rough since my Mom died, and this year we're without my grandmother too. It doesn't put one much in the mood to be creative. Or to do anything, really. I haven't even turned on my machine in about two weeks. It's just sad. BUT. 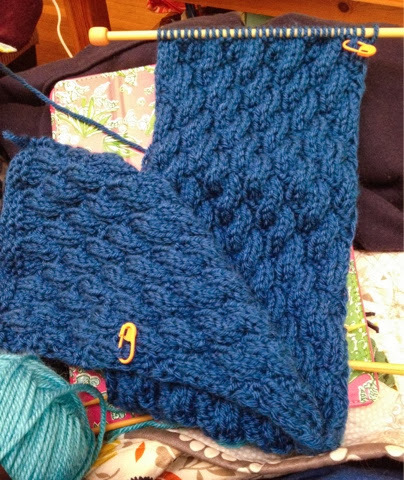 I did manage to finish my Canberra cowl, and have cast on another scarf and my first sock. First time knitting in the round AND first time using double pointed needles. I'll let you know how it goes! I'm going to be doing my WIP/Goals post here soon, so keep on the lookout for that. Here's to me getting my sewing mojo back! I used these same colors in a chevron pull that turned out fabulous. Nothing wrong with knitting either and you can do it with less concentration than quilting. You're not alone. I'm in a funk too. In addition to the normal January blahs I'm also dealing with losing my job last week (company that I work for closed after 10 years). I just spent the last few days reorganizing my sewing space, I'm hoping that will get me motivated. Your knitting is lovely. 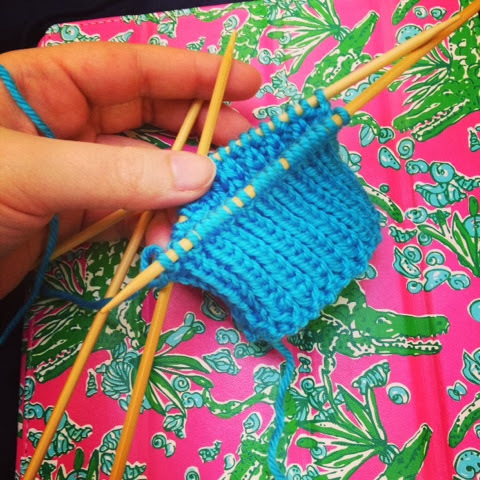 I'm a beginner knitter myself and my goal is to learn socks someday, so I'm anxious to see how your's turn out. I hope 2014 is a much better year for you! Sorry you've been in a funk :( I was the same way right after Christmas. 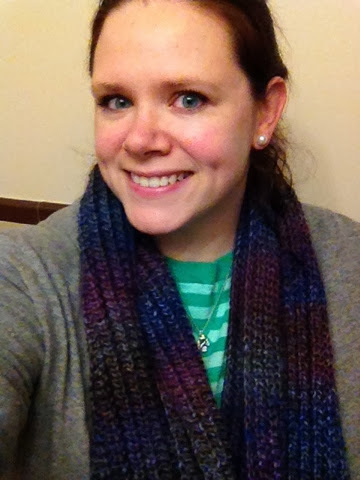 I love the scarf you are working on and that fabric pull at the bottom is really pretty! it is sad to face a first Christmas without a loved one, sorry you are missing both your Mum and Gran at this time.I expect everyone says time heals, well it is true I suppose but I still miss my Gran and she dies when I was 10 in 1956, I so loved that old lady. have since lost Grandpa and both my Mum and Dad but at my age that is not unusual. I am sorry that you are in a rut. 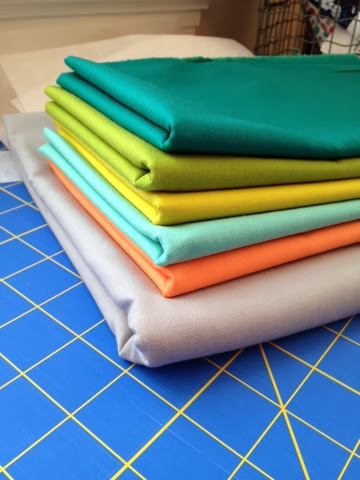 I do hope that your sewing-mojo-pile will fill you with joy, because it is a wonderful bundle of scrumptious colours! My Christmas was a bummer too, not as mayor as yours though, so I am counting my blessings.